Avoriaz opens early and it has been SNOWING! With all the early snow we have had in the recent couple of weeks Avoriaz is to open its lifts early this weekend (2nd December). We have a great base now for the coming winter. 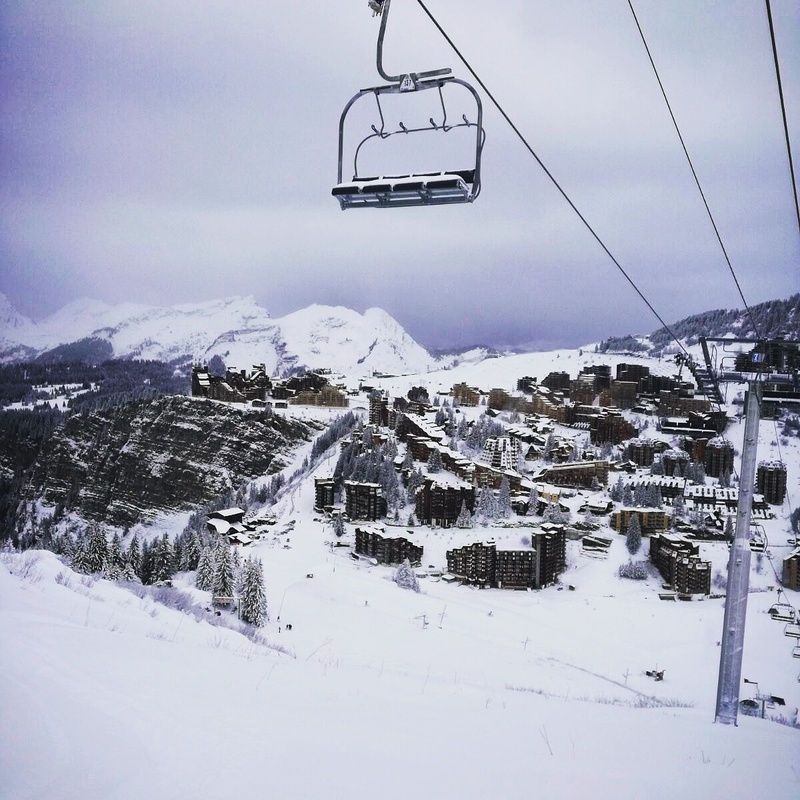 Serma, the lift company, have announced that the Arare, Fornet and Lindarets sectors in Avoriaz will be open for the weekend. The photo here is taken last weekend 26/11/17 by Andy our resort manager. Andy got up early to make the most of the fresh snow. 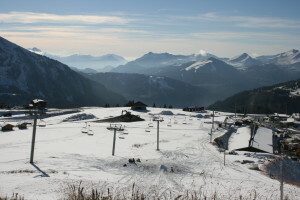 Chatel also announced earlier this week that they will also open this weekend. Locals will be able to make the most of the snow. 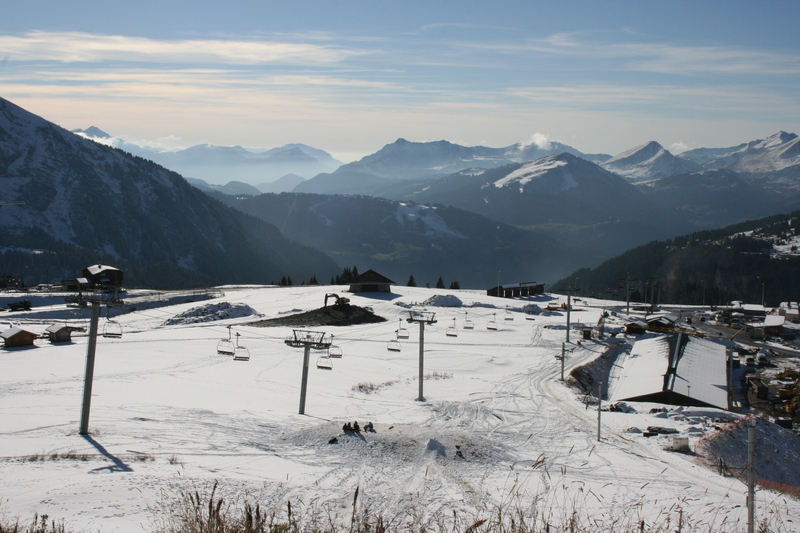 Champery opened early last weekend so it looks like the Portes Du Soleil is all set for Winter. We have availability for pre Christmas short breaks and New Year. We also have on offer a great Cheap Week for the week commencing 13th/14th January in association with Gypsy Snowboarding. All of our staff arrive this weekend for the start of staff training. We will be putting them through their paces so we can deliver the usual great service for your holiday. We cant wait until our first guest arrive and winter really does start. The long range forecast is looking good. 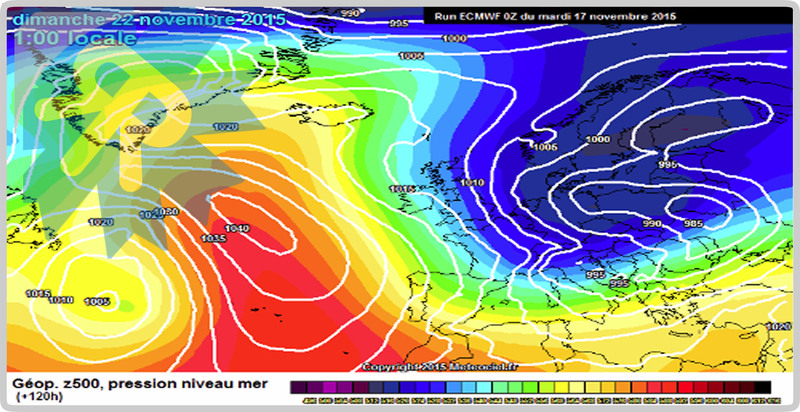 We are hoping that, as predicted, there will be snow and cold snaps every 2 – 3 weeks across Northern Europe. So, let’s give praise to the snow gods and keep our fingers and toes crossed that they will deliver powder days until April. Lift passes are €20.50 per day or €39 for the weekend, who could resist. Lifts open are Prodain Express, Du Tour, Prolays and Lac Intréts. Rock the Pistes 2017 is back again, the festival returns to the Portes du Soleil for its 7th year 19th – 25th of March! This year there are over 30 concerts taking place over 5 days across the whole resort. Five well known artists will be playing in various locations on the slopes from the 19th to the 25th March with the most glorious backdrops only accessible by ski. With free access with your Portes du Soleil lift-pass, all you need to do to enjoy the festival is to get yourself there! The festival offers 5 days of free gigs for everyone. Each day a major artist will be on the main stage atop the slopes at 1:30pm, with a DJ playing from 12:30pm. There will be drink stands where you can enjoy a beer or soda whilst boogying out to your favourite artist. Every evening there will be après concerts playing in the resort villages from 6pm so you can continue the festivities off the slopes! 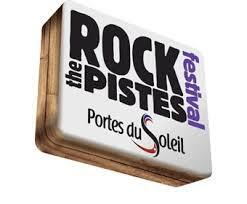 This years performers are a mix of international and French pop-rock artists. Sunday 19th kicks us off in Morgins with Matmatah and on Monday 20th, Chinese man headlines in Châtel. The gigs continue on Thursday 23rd in Avoriaz with Rag’N Bone Man and on Friday 24th Caravan Palace rocks out in our very own Morzine/Les Gets! Saturday sees the last of the big performers with Julian Peretta playing in Champery/Les Crosets. Rock the Pistes festival has always been a favorite of ours at Riders Refuge as it brings something different to your average ski holiday. Rocking out to famous artists on top of the mountains in all your ski gear with the most magnificent backdrops is something you don’t want to miss out on. This is such a fun festival that adds something special to your ski holiday. 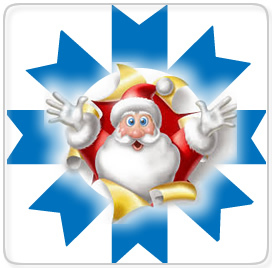 This year, there is a ski slope treasure hunt with full area ski passes up for grabs! On Tuesday 21st and Wednesday 22nd, all you have to do to take part, is to pick up a game card from the ticket window in your resort and find at least 5 hidden markers located all over the resort. The last marker will be located on the Swiss side of the Col de Portes du Soleil. Once the last marker is found, you have until 3pm to validate it for a chance to win your prize. For more details on the rules and regulations and how to enter, head to the main website HERE. With the main stage starting in the afternoon, it gives you a chance to do some hard skiing in the morning with the option of chilling out with some open-air concerts for the rest of the day. If you are feeling particularly merry by the end of the day or your feet are aching from all the dancing, our shuttle service can pick you up and drop you right back to your chalet with dinner already prepared by our fabulous hosts. If you haven’t already booked a holiday and are looking for something extra on your ski holiday this year then this is a great week to book in with us! We can take care of all your bookings and hospitality needs so all you need to do is take care of enjoying yourself! 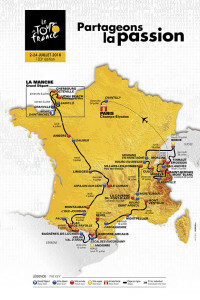 Tour De France Route 2016 – On the 2nd July the 103rd Tour De France will depart from Mont Sainte-Michel, La Manche in the North of France. It will cover a total distance of 3,519 Km before it finishes in Paris on the 24th july. 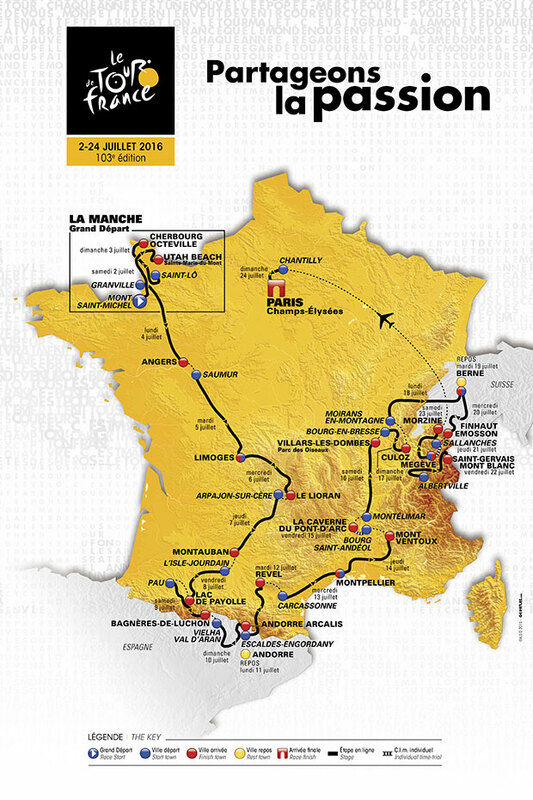 There are 21 stages which cover four countries France, Spain, Andorra and Switzerland. There are alot of new places for the Tour this year 16 places never visited before. 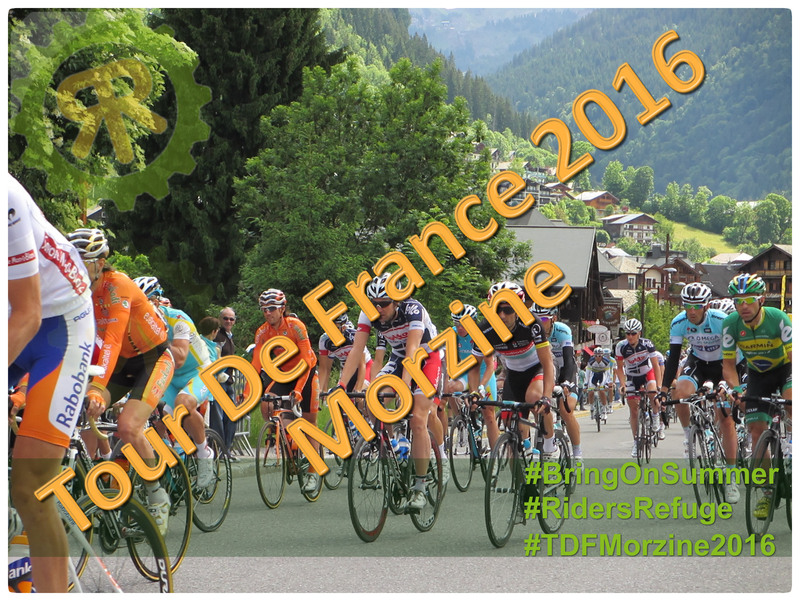 We are delighted that Morzine features in this years tour. Stages 18 & 19 are also a short drive from morzine. 2 individual time trial stages. Utah Beach. Sainte-Marie-du-Mont. Saint-Lô. Arpajon-sur-Cère. L’Isle-Jourdain. Lac de Payolle. Vielha Val d’Aran. Escaldes-Engordany. Bourg-Saint-Andéol. La Caverne du Pont-d’Arc. Villars-les-Dombes Parc des Oiseaux. Culoz. Moirans-en-Montagne. Berne. Finhaut-Emosson. Megève and Chantilly. There will be 2 individual time trials. Stage 13 37km Bourg-Saint-Andéol and La Caverne du Pont-d’Arc. Stage 18 17km between Sallanches and Megève on 21st July. This is only 40 minutes by car from Morzine. Stage 20 Megeve to Morzine. Megeve has never hosted the tour but has been the start of many stages of the Critérium du Dauphiné. This stage of the Tour will start from Megeve and head through Flumet. The 1st climb of the day Col des Aravis 1487m, then on to Le Grand Bornand. The 2nd climb is Col de la Colombiére 1618m. They will then cross the valley floor and after leaving Mieussy the riders take on the Col De la Ramaz 1619m. Descending to Taninges and along to Samoen where they tackle the biggest climb of the day the Col de Joux plane 1691m. The final descend into Morzine for what we expect will be an exciting finish to the Mountain stages and the end of the penultimate day. The Tour de France 1st came to Morzine in 1975 and this will be 19th time the town has been apart of the Tour De France. 1. On-line. Saturday July 2nd. Mont-Saint-michel / Utah Beach Sainte-Marie-du-Mont. 188 km. 2. On-line. Sunday July 3rd. Saint-Lô / Cherbourg-Octeville. 182 km. 3. On-line. Monday July 4th. Granville / Angers. 222 km. 4. On-line. Tuesday, July 5th Saumur / Limoges 232 km. 5. Hilly. Wednesday July 6th Limoges / Le Lioran. 216 km. 6. On-line. Thursday July 7th. Arpajon-sur-Cère / Montauban. 187 km. 7. Mountain. Friday July 8th. L’Isle-Jourdain / Lac de Payolle. 162 km. 8. Mountain. Saturday July 9th. Pau / Bagnères-de-Luchon. 183 km. 9. Mountain. Sunday July 10th. Vielha Val d’Aran / Andorre Arcalis. 184 km. – Rest day. Monday July 11th. Andorre. 10. Mountain. Tuesday July 12th. Escaldes-Engordany / Revel. 198 km. 11. On-line. Wednesday July 13th. Carcassonne / Montpellier. 164 km. 12. Mountain. Thursday July 14th. Montpellier / Mont Ventoux. 185 km. 13. Individual time trial. Friday July 15th. Bourg-Saint-Andéol / La Caverne du Pont-d’Arc. 37 km. 14. On-line. Saturday July 16th. Montélimar / Villars-les-Dombes Parc des Oiseaux. 208 km. 15. On-line. Sunday July 17th. Bourg-en-Bresse / Culoz. 159 km. 16. On-line. Monday July 18th. Moirans-en-Montagne / Berne. 206 km. – Rest day. Tuesday July 19th. Berne. 17. Mountain. Wednesday July 20th. Berne / Finhaut-Emosson. 184 km. 18. Individual time trial. Thursday July 21st. Sallanches / Megève. 17 km. 19. Mountain. Friday July 22nd. Albertville / Saint-Gervais Mont Blanc. 146 km. 20. Mountain. Saturday July 23rd. Megève / Morzine. 146 km. 21. On-line. Sunday July 24th. Chantilly / Paris Champs-Élysées. 113 km. We Now have limited availability for the week the Tour visits Morzine so Get In Touch Now…… info@ridersrefuge.co.uk. You can see all our chalets here. Our New Catered Chalet – Chalet L’Herens will be available for this coming winter. We are very excited to have this beautiful brand new property in our portfolio. Riders Refuge is now entering our 8th winter season with all our catered chalets based in Central Morzine to date. This fabulous brand new chalet we feel will fit in perfectly for our guests due to the high standard of the chalet, its location and the fantastic views not to mention our food and service. Chalet L’Hérens is situated on the outskirts of Morzine in Montriond. It is with in walking distance of Morzine town centre it takes 15 minutes to get to Morzine tourist office and less to walk to the nearest lift station the Super Morzine. 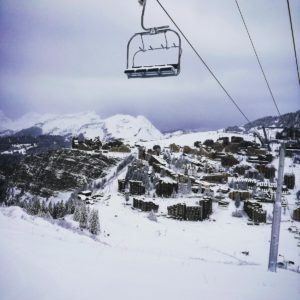 The Super Morzine lift takes you to Avoriaz there is also the Pleney chairlift another 5 minutes walk away which takes you to the Morzine ski area and across to Les Gets and it is an easy walk on the flat. This chalet will sleep up to 10 people in 5 spacious bedrooms 3 of the bedrooms have their own en suites bathrooms with either a bath or a walk-in shower with the other 2 bedrooms sharing a jack and jill style en suite. This catered chalet will have a large living area downstairs with a log fire, open plan dining room and kitchen. Chalet L’Hérens also boast an equipment store with boot warmers and drying room. Our price includes free return transfers from Geneva airport to your chalet. Chalet L’Hérens is catered on arrival you will be greeted by your chalet hosts and onced you have been showed your bedroom you will be offered a welcome drink. We provide breakfast every morning there is a hot option available which is different everyday from bacon sandwiches to pancakes, the hot option is not available on the staff day off but there is cereal, fresh fruit and fresh bread available. Afternoon tea is freshly baked everyday and will be waiting for you when you return from your day up the mountain. Dinner is preceeded by canapés then a three course dinner followed by coffee. We offer to take you to the slopes after breakfast and there is the offer of a lift back from 16:30 till dinner time. The chalet is very conveniently situated next to a bus stop, the buses in Morzine are free of charge and run throughout the day till early evening. This chalet is sold at a introductory price for this winter starting at as little as £379 per person for the easter holidays, the chalet is still available for February half term so get in quick if you are still looking for this week. Early snow for Morzine this autumn. As the temperatures dropped last week to just above freezing level and we saw the first snow of the season fall on higher ground. We are now looking forward to winter which is just over 6 weeks away. 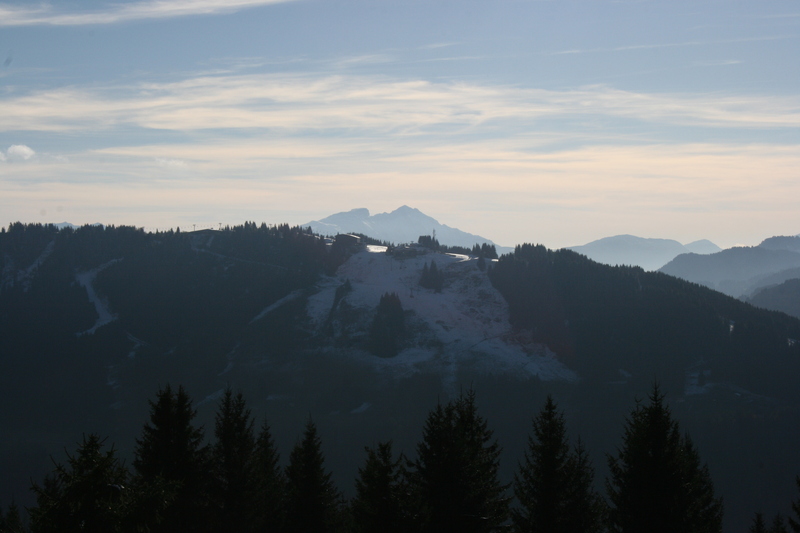 Early snow for Morzine and the Portes Du soleil area is not unusual. In the time we have been here (8 years) we have always been delighted to see early snow with the lift companies often opening the lifts on weekends late November for the locals to enjoy the snow before the resort officially opens and gets back to business. Avoriaz opens on the 13th December with Rock on Ultimate a snowboard and music event over the first week. Morzine town is at 1000m and it is because of this many people think we would struggle for snow. This is not true we have a fantastic snow record, the highest point in the Portes Du Soleil area reaches 2500m. 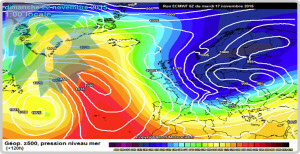 We are in close proximity to Mont Blanc and because of this we benefit from their weather system, this brings Morzine and the Portes Du Soleil similar snow conditions to that of higher resorts. We are also very close to Lac Leman (Geneva) and as the cold winds arrive from the north east they pick up moisture from the lake and deposit it on the first mountains they meet which is the Portes Du Soleil area. The average snowfall for Avoriaz over the last ten years shows that it has an outstanding record better that that of Val Thorens. Even when the snowfall across the French alps has been poor the Portes Du Soleil has still been open for the whole season mid December to mid April. Our Ski area also boasts a fantastic snow making system with over 694 snow cannons to date. These snow cannons can make natural snow when the temperature drops to below 3° c, and the lift companies strive to keep the Pistes in perfect conditions from early December till late April. So why not come and join us for some early season skiing or snowboarding we have short breaks available pre Christmas. 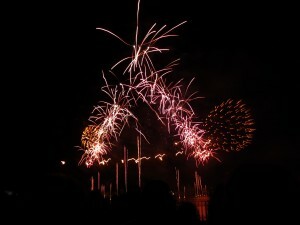 Lac Montriond Fireworks – Fete Du Lac. This event happens each summer on the 1st Saturday in August. 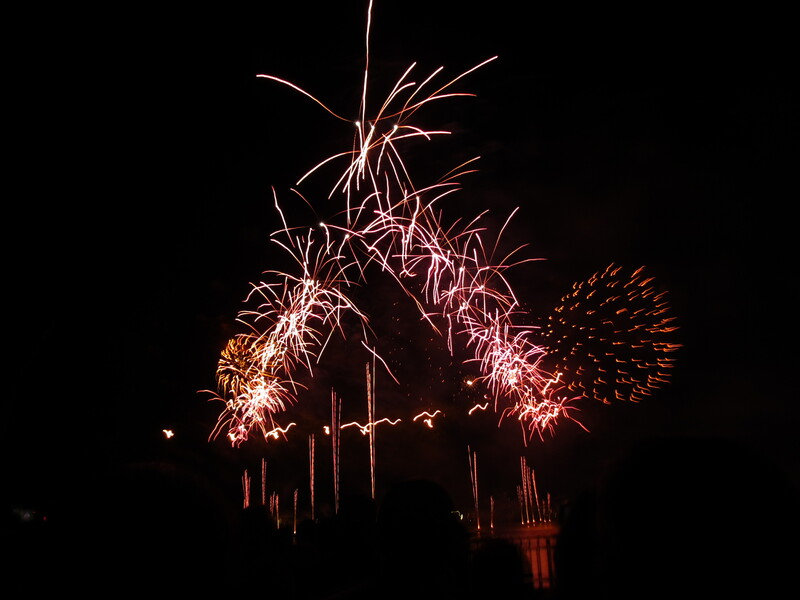 This year it was the 37th year of the fireworks which is a free event hosted by Montriond community to celebrate the Lake. Lac Montriond is one of 23 sites in the Geoparc Chablis which is part of Unesco. Studies have shown that Lac Montriond was formed in the 1550’s when a huge landslide happened off the side of the Nantaux. 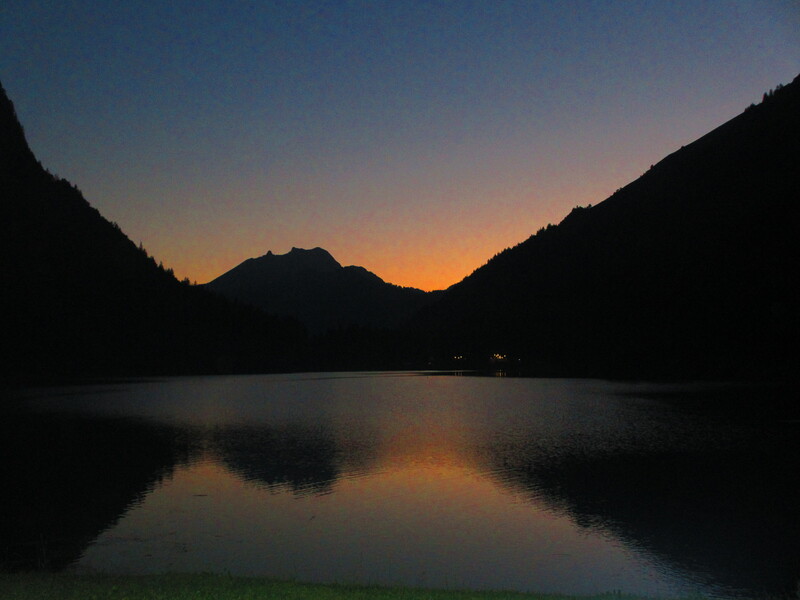 It was privately owned until the commune of Montriond bought the site in 1992 and have since invested in the site to make the Lake a beautiful place for everyone to enjoy in both summer and winter. Both ends of the Lake have great restaurants and there is path all the way around the lake, the end nearest Montriond villiage has an area for bathing and a small pool for children to swim in this is covered on the multipass. Other acitivites at the lake include kayaking and horse riding. There is also a beautiful waterfall the Cascade d’Ardent that you can walk to and it is well worth the effort. 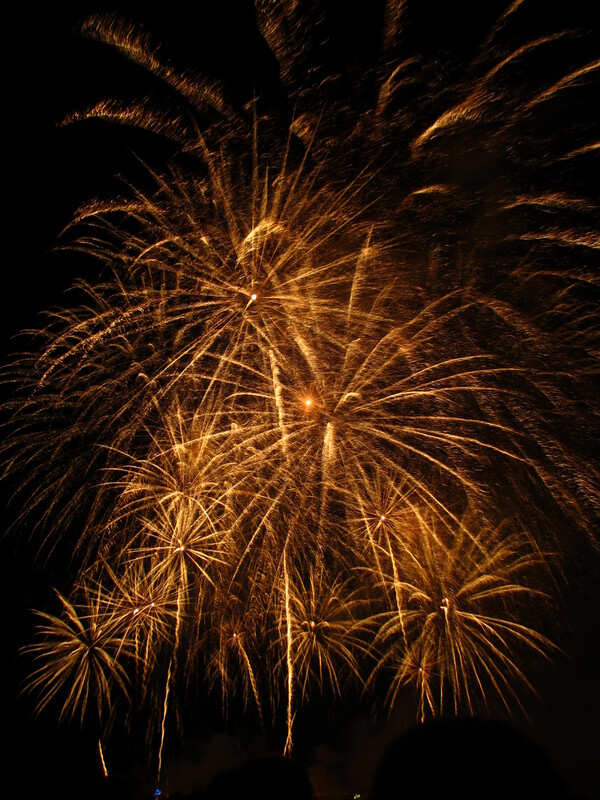 On the evening of the 1st saturday of August this spectacular firework display takes place. Many people go to the Lake with picnics and barbecues in the afternoon and enjoy the surroundings before the Fireworks begin at about 21:30 when it is dark. Before Lac Montriond Firworks or the Feux Du Lac begin there is other entertainment like Parapenters, firejugglers, fire eaters, clowns and other street performers. 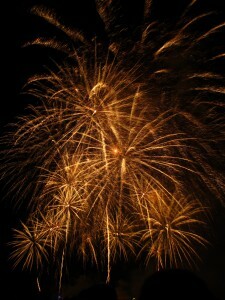 The Fireworks last for around 1 hr and there is a different theme each year. After the fireworks there is a band and a bar so you can stay and enjoy. The Tourist office in Morzine have put together a Mountain bike survey for anyone who has biked in Morzine for one or more days. It allows you to give your opinion on what they can improve and develop in the area. At the end of the summer they will take the Morzine mountain bike survey and look at what economic effects mountain biking has on Morzine as a town, ie the shops, bars, restaurants etc.. and what your opinion is of the infrastructure that is in place now for mountain bikers, plus what your thoughts are on what improvements can be made. You can find it here on our Facebook Page please feel free to share the post and spread the word the more people who fill it in the better. Don’t forget to like our page too while you are there ;-). Or simply scan the image below with your mobile phone. This is your chance to have your say about the trails and facilities for mountain bikers in Morzine and help the tourist office improve and develop this town better to cope with the needs of those of us who ride bikes. More bike washes? better maintained trails? more trails? what sort of trails? In the past 7 summers we have seen many changes, lots more trails, new lifts, better signage of the trails and this year it is more noticeable that there are maintenance teams on the mountain repairing and trying keep the trails in shape throughout the summer. We want Morzine to keep improving and it is great that the tourist office are now realising that with your feedback they can make Morzine bigger and better. 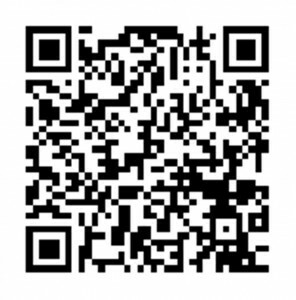 So put the kettle on and fill in the survey only takes 5 minutes to have your say plus you can win entry to the PassPortes Du Soleil event and a free day pass for summer 2015.